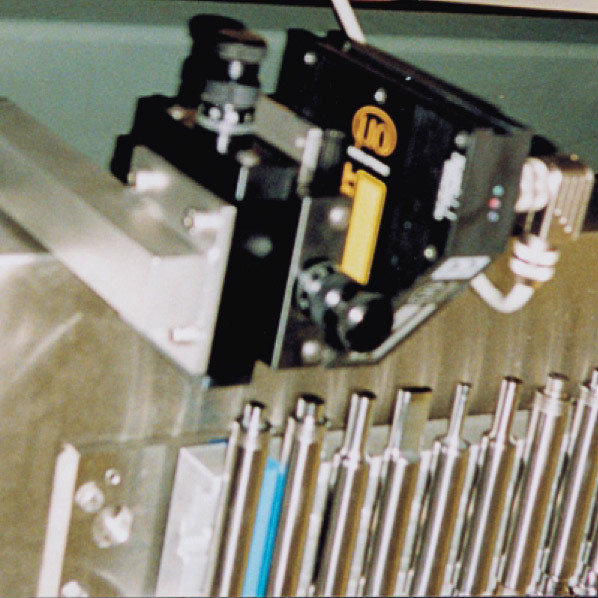 High performance pill presses are fitted with quickly interchangeable matrix disk units in order to minimize cleaning and setting up times when employing press tools. In automated production a high level of precision is required to ensure the quality of each individual pill. In production up to 47 stamp pairs pass through the press station in a circular arrangement and, due to their high production rate, are subject to a certain amount of wear. Here, an automatic system for the stamp measurement can ensure the optimum press quality.